I'm a little tardy in publishing my May class schedule. I apologize. There are some really, really fun ones coming up, though. These are the kinds of classes that had me dreaming of teaching out of my own studio. While I am still working on getting my studio ready for more local students, I am so very thankful the Studio and Rush Creek and I found each other! So, here they are. If you're interested in registering, head on over to the Rush Creek Class Schedule page. This class is for anyone with a basic lampwork class under their belt. You’ll continue to refine your lampworking skills like glass application and heat control, and learn how to use a few new tools while learning to make basic bead shapes. Shapes, like the tube, oval, cone, cube, and heart, make great focal beads and are a great canvas for surface decorations. Even if you just want more experience at the torch, this is a great class for you! Rocks are everywhere - from the parking lot at the grocery store to the beach – and they are free. They provide a great opportunity to make interesting, inexpensive jewelry. 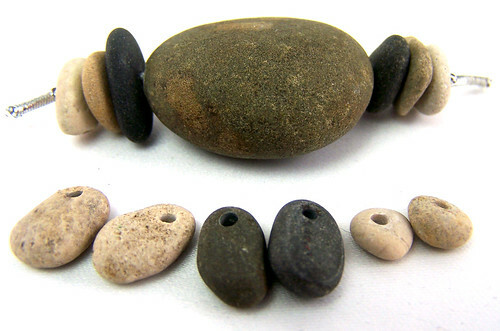 You can certainly use them without holes, but learning to drill holes in stones provides a huge range of design opportunities! We’ll be using standard smooth beach rocks to introduce you to rock drilling. You’ll learn about safety, the different drill bits available, why some are better than others, how to get the most life out of your drill bit, and techniques for making your holes straight, preventing blowout and cracking, and finishing rough edges. Julie will bring lots of design ideas so you can play with your rocks when you get home! 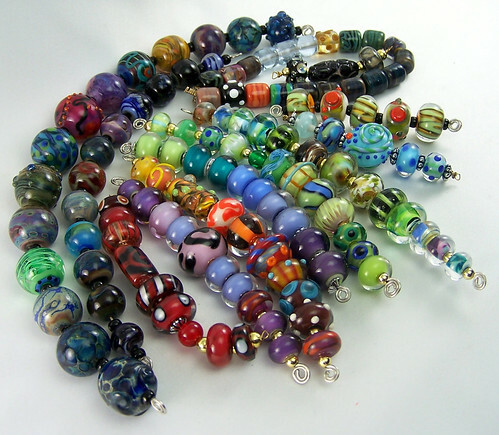 Come join Julie as she teaches you how to make your very own glass beads. You'll practice safety and build confidence as you learn what to expect from glass at temperatures from 70°F to 1800°F and how to use that to your advantage making simple beads. There will be demonstrations of different steps in the bead-making process and plenty hands-on time for you to practice, with personal guidance, at your own Hothead torch station. You will leave the class having made a handful of your very own handmade beads! This is a great intermediate class for anyone wanting to refine and expand their soldering skills. 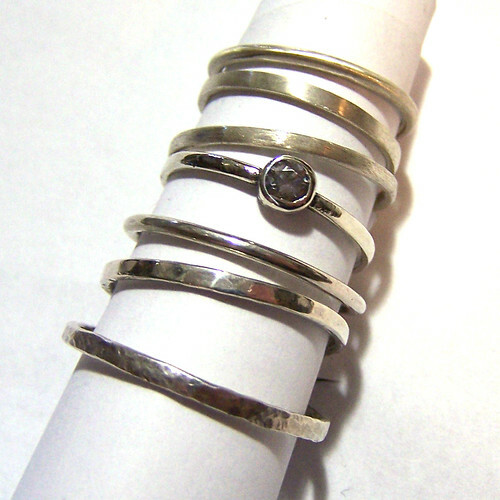 Spinner rings offer a wide range of design options and are fairly easy to construct. 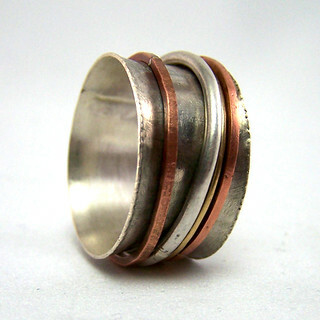 You’ll learn how to size your ring blank and spinner rings. Then, the instructor will demonstrate soldering and ring construction techniques, how to shape and harden the ring, and polishing. Julie will bring lots of design ideas so you can express your individuality in your design! I did make major strides in cleaning out my teaching studio this week, once the snow finally all melted and the temperatures seemed to stabilize. Seemed. Today broke a high temperature record for this day at 97. We may have missed our apparent 48 hour annual window for comfortable classes in my non-temperature-regulated studio. I'll keep working at getting it class ready, though; miracles can happen. Right?